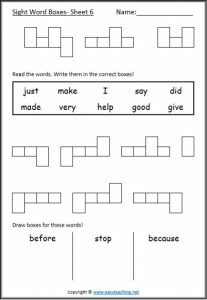 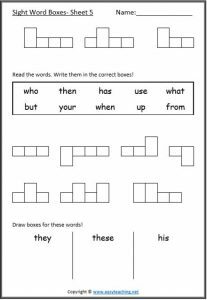 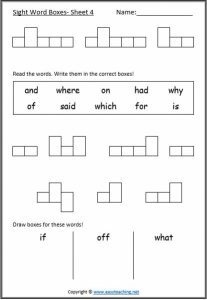 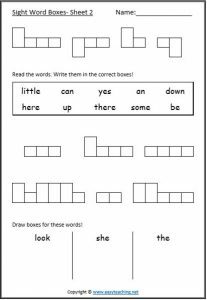 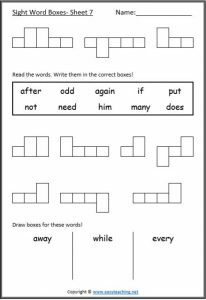 A collection of sight word boxes worksheets. 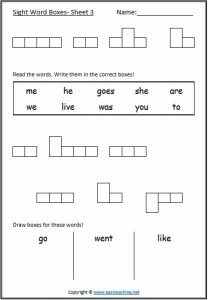 Teach the shape of high frequency words using these worksheets. 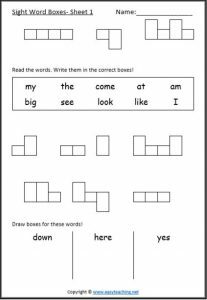 Find the words that fit into each box shape.